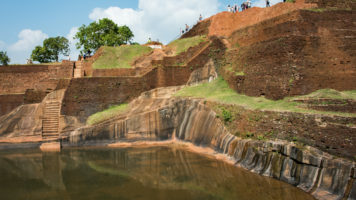 Today we visited another ancient city – Polonnaruwa. 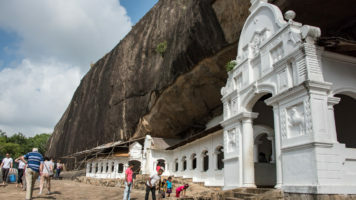 The second oldest kingdom in Sri Lanka. While the ruins were impressive, we were constantly distracted by the diversity of the wildlife in the surrounding area, so much so that I left my Tamron 150-600mm on my camera and took wide shots with my iPhone. Birds, lizards (including both land and water monitors), terrapins (freshwater turtles) and monkeys (including a rare sighting of the shy bear monkey) were constantly vying for our attention and more often than not, won. That said, it is definitely worth checking out the ruins! For lunch, we had an authentic Sri Lankan meal and they even let us have a look at how everything was cooked. It was delicious! We then headed to Minneriya National Park where we had the most amazing viewing of a large wild elephant herd. By the water, there were also many shore birds including painted storks, gap-billed storks and a large variety of herons. We also saw three crocodiles. Just outside the exit, we were also treated to a visit from a couple of spotted deer. Definitely a wonderful day for wildlife viewing! There really is no comparison with the elephant orphanage so I would recommend skipping Pinnawala and only visiting Minneriya.